I am frequently asked how current economic and political conditions might impact the real estate market, and if we can learn lessons from the past to have a better perspective of likely future values. It is timely to be asking such questions and to consider previous periods of house price surges. The underlying principles of supply and demand are usually the simplest things to look at in order to understand price movements. In residential real estate, the most common measure of those principles is the number of months of inventory of homes available at a particular point in time and in a defined area. As of January 2018, there was barely a four-month level of inventory of homes priced over $5 million. At the current rate of buying, it would only take two months to sell all the homes below $5 million. This is arguably the strongest seller’s market we have ever seen in Pacific Palisades and reflects both the continuing high desirability of living here as well as the low interest rates for home loans. Of course the reasons more people want to move here are the same explanations for why fewer are willing to move from here, hence a continuing relative shortage of homes available to meet the strong demand. In the face of such a strong seller’s market, some experts are predicting a meltdown. What might cause this market to shift in favor of buyers? Although history does not always repeat itself, it is interesting to note that over the last four decades there seems to have been a pattern. 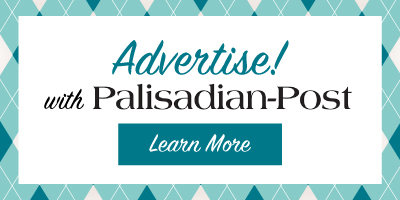 Every eight to 10 years, the Palisades real estate market has seen declines in values ranging from 20-32 percent. The last cycle began in 2008 and did not begin an uptrend until 2013. From that perspective, it would not be surprising to see a cyclical down market begin some point in the next year. A look back to the last major market correction phase in 2008 shows two clues. The number of new listings in the Palisades averaged about 455 per year from 2002-06, nearly identical to the average number of new listings from 2013-16. This is in contrast to only 370 new listings in 2007 and 374 in 2017. We saw a significant down market begin in 2008, as many expect to occur beginning in 2018. In fact, only 10 homes actually sold in January 2018, as compared with 20 in January of 2017. The high demand and tight inventory of homes available are the primary factors holding the real estate market back as well as leading to all-time high prices. There are several reasons why more homes are likely to come on the market soon, and also why the rate of sales may not increase at the same degree. The rate of price increases has been steadily decreasing over the last few months, even as the inventory level has approached historic lows. Developers have become more conservative and not as aggressive in their bidding for properties to build on, while the steady increase in prices has begun to make housing less affordable for a growing number of hopeful homebuyers. Buyers are far more aware of values than ever before—with greater access to full data—and feel empowered to negotiate more when a listing may be priced even 5 percent above its theoretical market value. In the lower and mid-range of prices, interest rate increases may also contribute to more inventory being available, and thus a further softening of price levels, as housing becomes less affordable. Another likely source of more homes available for sale is the slow but steady demographic age shift. I have seen a gradual increase in inquiries from senior citizens whose financial situation impels consideration of all alternatives, one of which is to free up a substantial amount of equity in their real estate. Of course another current topic of great interest comes through questions about what impact I can see on our local values based on the new tax reform legislation. Although I have given that question a great deal of thought, the issues are somewhat complex and not easy to generalize. The conclusion comes from much consideration, discussions with executives in banking institutions and meetings with dozens of long-time successful real estate agents. That conclusion is that the most likely net impact on local values will be down in the range of 1-4 percent. With an average home now selling around $3 million, the average property might be impacted by less than $100,000. This will be a fascinating year to look back upon by 2020. Edlen has been considered to be a local expert in market evaluation for 20 years, and his team approach includes an effective system for individual property analysis with 95 percent-plus accuracy. 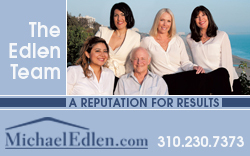 He may be contacted at 310-230-7373 or on their new site, michael@edlenteam.com.